Souvenir specialist I be. I land in a city, and within minutes I’m buyin’ up a storm. Office supplies, textiles, art, books… anything and everything that inspires me. My RAH Tote Bag gettin’ heavier by the second from nonstop collectin’ every matchbook, sugar packet, and flyer that caught my eye. I’m steady snappin’ photos of everything that excites me – signage I pass, sewer covers I step over, people I meet, food that I eat. I love putterin’ way outside of the city center chock full of tourist traps to discover dope hidden spots to get my shop on. But sometimes tourist shops are where it’s at. Magnets. Check. Postcards. Check. Socks rockin’ the city skyline. Check. It’s more than the draw of the standard souvenirs. Sometimes I run out of time. Sometimes I don’t wanna run around comparing prices, searchin’ for the one. And sometimes after I’ve secured all the goods for the STMT Kit I’m totally spent. No amount of caffeine is gonna make me wanna walk another block. Sometimes I just wanna discover a touristy-but-not-touristy shop and fall in love with everything. Lucky for me, I discovered just the spot in Puebla – Galería La Catrina! 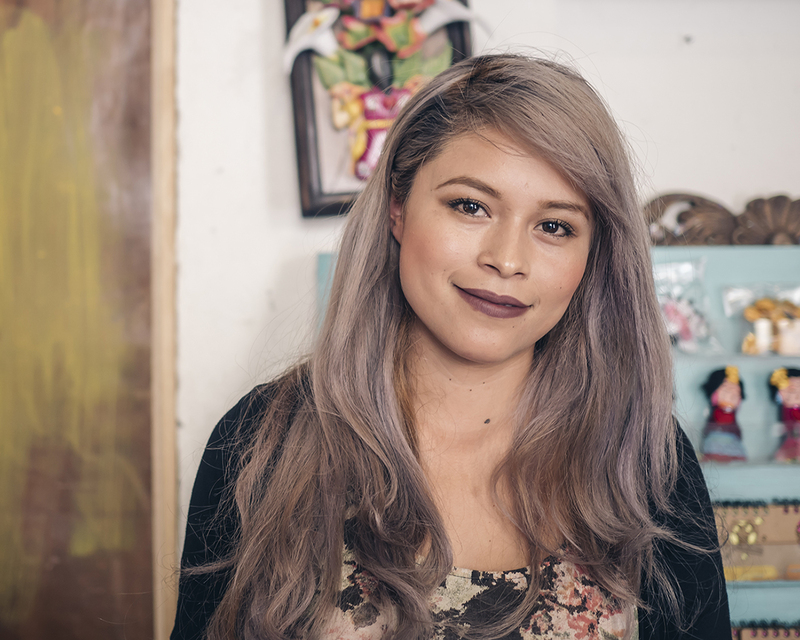 Don’t expect cheap tchotchkes at Galería La Catrina. Instead, be prepared for a choice selection of goods reppin’ the local culture made by local artists. The perfect balance of enough – not too much that’ll leave you overwhelmed but plenty of variety to find the perfect souvenir! You’ll see familiar stuff – Day of the Dead figurines, all things Frida, colorful skulls – but also not-so-common treasures. Their most popular pieces? Gorgeous handcrafted birdcages. I walked out with non-touristy magnets, Day of the Dead figurines, and a beautiful handmade clay statue overflowing with flowers. I also scored tips for visiting Puebla from the owner, Blanca. Her suggestions? Visit Puebla Cathedral. Stunning. Eat mole. Grubbin’. Eat Chiles en Nogada. Didn’t happen ‘cause we ran out of time but it’s gonna. Food recommendations from locals? Mark my return!